All Inclusive Generations Riviera Maya, by Karisma in Riviera Maya, Mexico! BUY Per Person Per Night and Choose Your Length of Stay! Generations Resorts, by Karisma is a haven of luxury that lives up to its name. Built from crafting the perfect level of service, gourmet cuisine, and impeccable amenities, Generations Resorts was designed for the purpose of providing a relaxed luxury getaway. 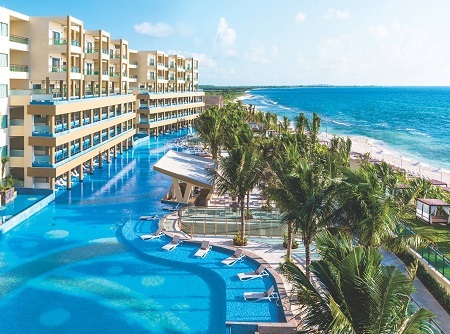 Located right in the stunning Riviera Maya, Generations Resorts features Gourmet Inclusive® cuisine and amenities, and around the clock butler service - all set along the stunning Mexican Caribbean coast, where daily adventure awaits. At Generations Riviera Maya, there's no limit to how far our chefs will go to bring you dining experiences you'll never forget. 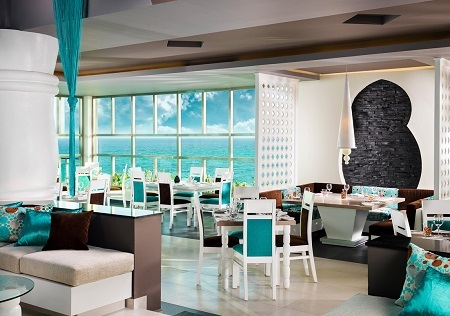 Whether you're savoring authentic flavors in our signature à la carte restaurants, grabbing a casual bite at a poolside grill or enjoying in-suite themed dining, every dish is a showcase of the culinary arts. These spacious suites, feature a luxurious king size bed. This suite is equipped with high tech smart TV’s and a premium minibar, indoor luxury Jacuzzi® for two and a contemporary bathroom. * No Children Rates or Accommodations for Children with this offer. Single Supplement of $175 applies if only 1 person stays in a room.